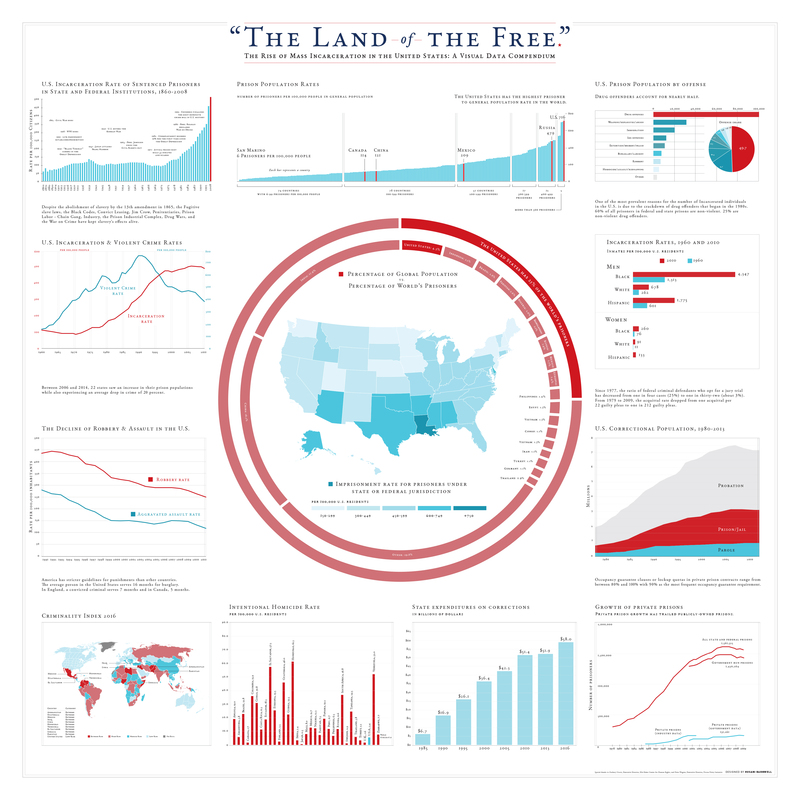 Rather than create a data visualization targeting a liberal audience who are already generally aware of the scourge of Mass Incarceration, "The Land of the Free" targets patriots who normally consume information within echo chambers rife with conservative talking points, alternative facts, and mistruths. Seeing the juxtaposition of each graph reveals the hypocrisy of calling our country "free" when the numbers show we are anything but. Viewers will note declining crime rates, relative lower violent crime rates between the United States and other countries, the high percentage of incarcerated drug offenders, combined with an increase in incarceration throughout history. Viewers will also note statistics on how the U.S. incarcerates individuals for longer periods of time for equal crimes as citizens from other countries, and other relevant data which fly in the face of the freedoms this country claims to provide. Overall, the notion of freedom appeals to all Americans, no matter their political affiliation. 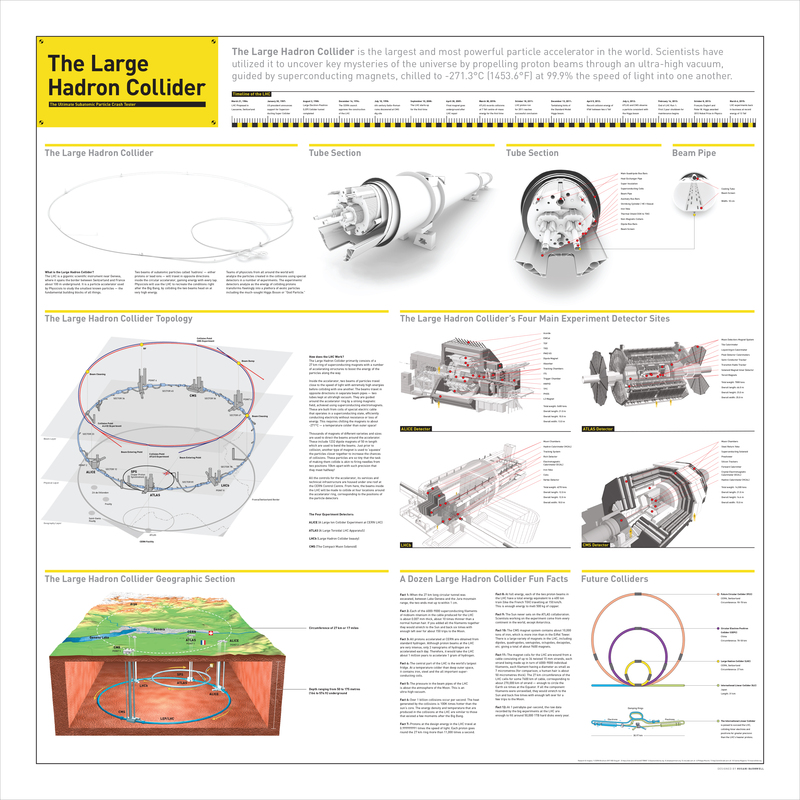 "The Large Hadron Collider: The Ultimate Subatomic Particle Crash Tester"
The Large Hadron Collider is the largest and most powerful particle accelerator in the world. Scientists have utilized it to uncover key mysteries of the universe propelling proton beams through an ultra-high vacuum, guided by superconducting magnets, chilled to -271.3°C (1453.6°F) at 99.9% the speed of light into one another. 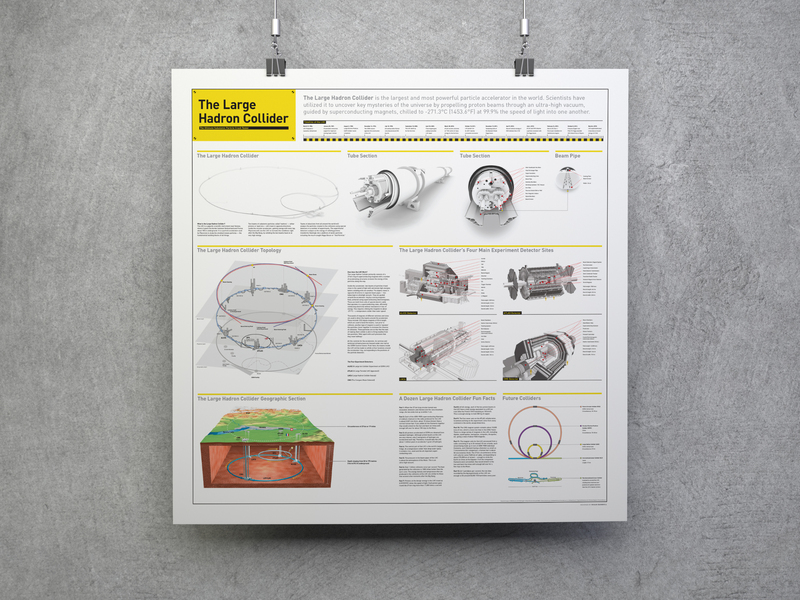 Visually, the data visualization is influenced by Crash Test iconography, a playful and befitting visual reference for the world's largest subatomic particle crash tester. "Sacred Geometry & The Platonic Solids"
Explore the fully-clickable InVision prototype. 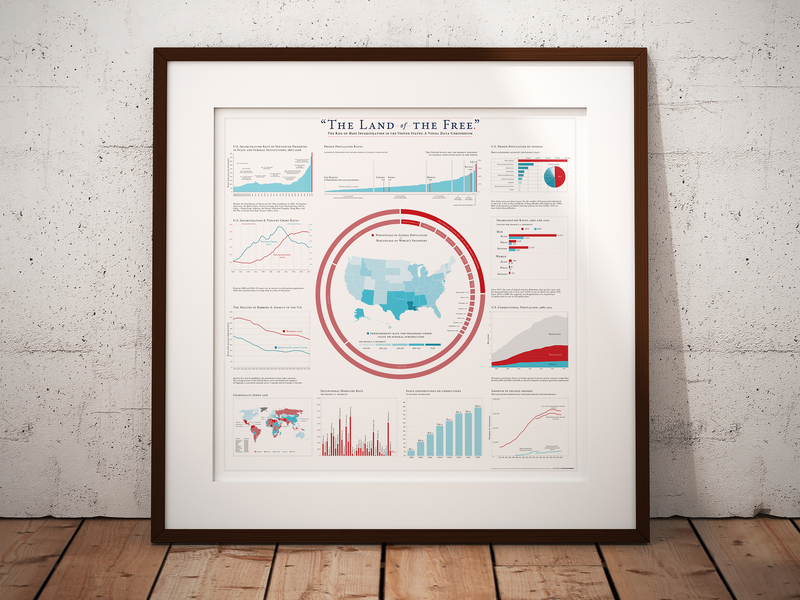 NOTE: All data visualizations are 44 inches by 44 inches in size. For sales or other inquiries, email me.